I recently finished reading a classic. I think I was supposed to have read back in high school, but didn’t. In retrospect, I’m glad that I didn’t since if I had, I probably wouldn’t have picked up again now. This short book chronicles they life of Buck, a dog who is stolen from his posh home California and sold as a sled dog in the Yukon. It’s a sudden and drastic change in his life and he must learn and adapt quickly or perish. Buck physically and vicariously learns hard lessons as masters and other dogs are abruptly brought into his life and then exit just as quickly. At several points in the book the lessons are explicitly stated by London. For example, after a conflict with another dog some lessons are recounted. Although a work of fiction, this book reveals some important truths about the roughness of life in the wilderness. The book also has some important lessons for the prepper, too. Desperate times will push people to desperate actions. The gardener that stole Buck and sold him to a merchant had fallen upon desperate times due to his gambling habit. People will do things that the never once thought imaginable when pushed to the end of their rope. Buck had a similar experience as a sled dog when he stole food from his master. Likewise, we must be aware that in a post-TEOTWAWKI world, people will change in unexpected ways. We must learn and adapt quickly or face an unfortunate end. Buck’s first encounter with a man after being stolen and sold as a sled dog almost killed him. Buck’s anger at being taken from his home clouded his judgement and he rebelled against a man with a club. That mistake almost cost him his life. But he learned from it and never again allowed himself to be put into that kind of conflict. We too must be quick to learn the lessons of a new reality. A different set of standards apply when there is no law. As the quote above illustrated, Buck quickly recognized that a different set of rules applied in his new world. The old norms from his prior home would quickly get him killed in the Yukon. 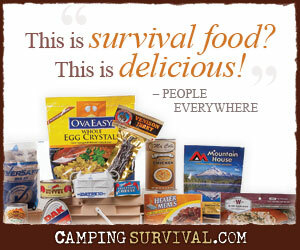 For the prepper thrust into a post-TEOTWAWKI world, we will have to make some tough decisions. How much do we help others? Will they take advantage of us afterward? Sharing is good in this world, but it may get you killed in another environment. Those who are foolish, will meet and untimely end. Buck had some good masters and some foolish ones. The good ones worked him hard yet cared for him well. The foolish ones worked him foolishly and eventually cost a team of dogs their lives, along with the lives of the masters. We must make sure that we are prepared for the new adventure before we embark upon it. Going into the unforgiving wilderness unprepared will surely lead to destruction. I can see why the book is considered a classic. It’s a good book, well worth the read. However, for the empathetic, I will say that the book is replete with harsh and brutal scenes. So reader beware. This Jack London book has always been one of my favorites. I enjoyed your take on how continues to be relevant to the modern day.